Today was an interesting day. It began with the full release of Ubuntu 12.04 which I installed on my desktop. 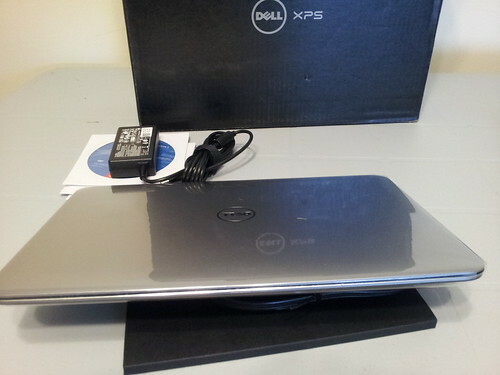 Then, the XPS 13 arrived from Dell. I didn't pay for the XPS 13. 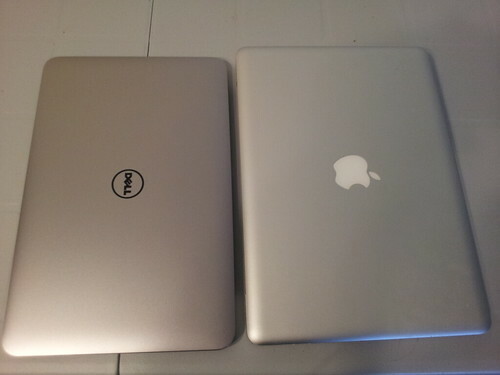 Dell just gave it to me, so I'm going to review it and compare it to my work-issued MacBook. They sure look similar. If you're still with me, you should probably read Windows vs. Mac vs. Linux, something I wrote last month. You'll see there that I spend the bulk of my day working on the Ubuntu desktop. When I need to be mobile, or when I need Photoshop, I'm on the MacBook. I have a bulky old Windows laptop for when I absolutely need Windows and when my kids want to play Windows-only games. Otherwise, I avoid that Acer like the plague. But here I am with a shiny new XPS 13. It's super thin. 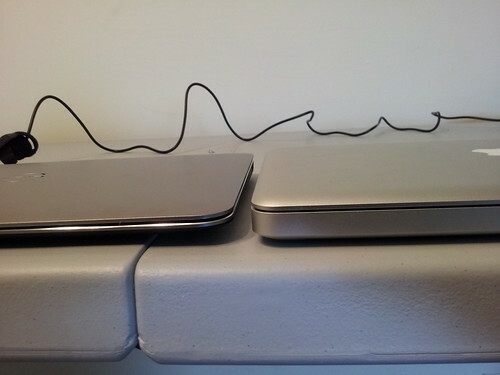 Because it looks an awful lot like my MacBook, the first thing I did was compare the thickness, weight and size. The Mac is a little bigger, a little heavier and a little thicker. Oh, and more expensive. So far I've simply pugged her in, set up my Windows profile and downloaded Chrome. It's fast, and super thin and light (did I mention how thin it is? ), but I'll need some time with it to see how it compares to the other machines lying around. This will be fun... Is anyone else using the XPS 13 yet? A new 2012 laptop called XP? With a 128Gb hard drive? Slow down there Trailblazer! Um, by all means - you can have this freebie. I'm pretty sure the name XPS has nothing to do with Windows XP. It came with Windows 7. Hey CQ, gifthorse mouth and all that. Calling it XP anything is cracker-jack brand marketing in my books. Aces! It is, then, another solid choice at the sub-$1,000 price point, but put aesthetics aside and we wouldn't say it's universally better than HP's Folio 13, which is about $100 cheaper. It is, however, better looking. The good: The Dell XPS 13 fits a glass-covered 13-inch screen into a smaller-than-expected body. The sophisticated design is eye-catching and sturdy, without driving up the price. The bad: The limited port selection doesn't include HDMI or an SD card slot; the display should be better; and battery life falls behind other slim laptops'. The bottom line: Dell packs a 13-inch display into a very small footprint in the XPS 13 ultrabook, making it one of the few slim laptops that actually top the MacBook Air in some areas. None of the issues with the XPS 13 are fundamental flaws or uncorrectable. This is a good product at a reasonable price point that basically just needs a refresh. If you're in the market for an ultrabook I wouldn't dissuade you from going with the XPS 13, but I might advise you to really examine how you're going to use it and do some shopping around first. That's just good advice for any computer purchase, but it's definitely relevant here. I do not use these machines for everyday computing. For that, I prefer a big, powerful machine with many monitors and all sorts of capabilities. Naturally, those are impractical for the road. When traveling, power users want the lightest, most powerful Windows machine they can find—bonus points if it is attractive and can play movies well. The new $999 Dell ultrabook easily falls into the category. Secondly, the backlit keyboard is impressive. In many situations, namely a darkened airplane, users simply cannot see the keyboard on most inexpensive laptops. This one automatically lights up the letters on the keys because they are not printed on the keys, but are actually molded into the key—a big deal for enthusiastic typers who quickly wear off the letters. The sub-three pound factor is also important in today's world of travel, where airlines have strict weight restrictions on bags, especially on overseas flights. If the machine has any flaws—and all ultrabooks and MacBook Airs suffer from this—it is that there is no direct video connector that attaches to the hotel video projector for use in a PowerPoint presentation. A VGA dongle can, however, be attached to the machine's mini DisplayPort connector. I have not tested it to see if the projectors are amenable. I assume they are or else this would be a deal breaker in most circumstances. The machine also has a USB-2 port and a USB-3 port. A dongle is also needed for an Ethernet connection. This is lame, but keeps the machine more stylish until you attach the clunky dongle. Jesus Christ you guys are serious about computers. 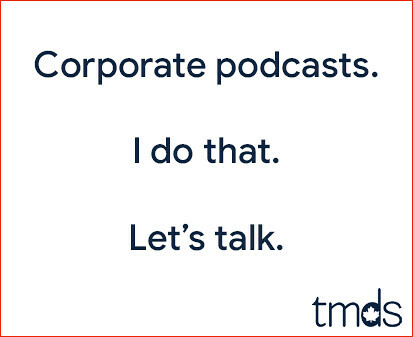 When your work-life depends on them, yes. We are. What's the point of an ultra book in a tablet world? At one point, I had three tablets next to the bed, sometimes four. I still grabbed the laptop 90% of the time. To me, it's about input. If I'm just reading, the tablet is fine, but so much of what I do on the web requires typing. I'm so much faster on a laptop. I'm thinking the target market here has to be the person who needs to go mobile and prefers Windows over Mac. And by making it look so much like a Mac, they might be allowed to bring it into their local Starbucks if they cover the Dell logo with a sticker. Techno-snob? I'm the guy working on his $250 desktop running Ubuntu Linux! Mike, you should test drive the HP follio 13, Great device!